This is the final edition in response to continuing user feedback, including hard-coded subtitles in one section where the sounds of New York City made it hard to hear, particularly for those who don't have English as a first language. The runtime is as long as a Peter Jackson movie, so it is filled with information to master this technique! In 2008 I developed a method to take the shallow depth-of-field of images taken with a fast telephoto lens and apply that to any sort of frame of view you want. I called it bokeh panoramas; the name that largely stuck was The Brenizer Method. I knew that there is nothing new in a photographic world filled with tens of millions, so I figured that this had been done before. But I wanted to make it interesting, useful, and achievable in day-to-day shooting. I figured out how to consistently do panoramas of moving objects (like people). I figured out how to use lighting, even flash, in multi-image photos. And, perhaps hardest, I figured out how to pre-visualize and keep dynamic compositions during a shooting process that can take 15 seconds or more. 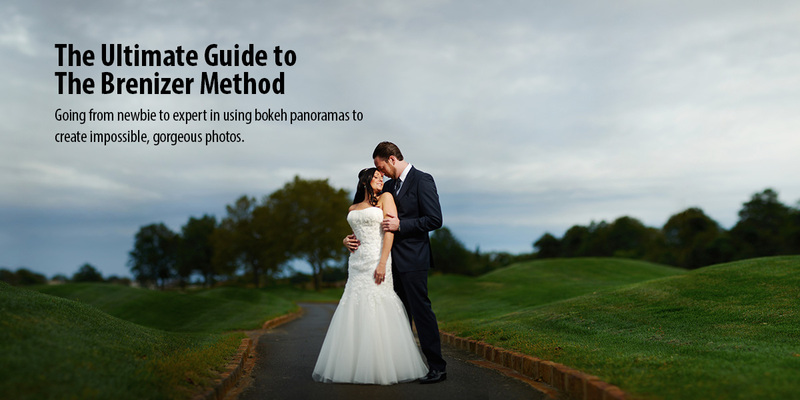 This method has caught on with countless thousands of photographers across the world, which is an incredible honor. But for every photographer that's "got it," I see tens or hundreds who can't figure it out. And compelling compositions are too rare. That means I haven't educated well enough. There are guides out there, even ones I've been involved with, but none of them seem good enough to me. I wanted to create a fully comprehensive guide that takes you step by step to go from a complete neophyte to someone who can consistently shoot and process these, and make them part of your metaphorical toolbag. I want to see you go out and take photos with this method that are so good, they make me wish I'd taken them. That is my goal as an educator. In other words, this is the only 35mm f/0.4 lens you'll ever be able to buy for $10.